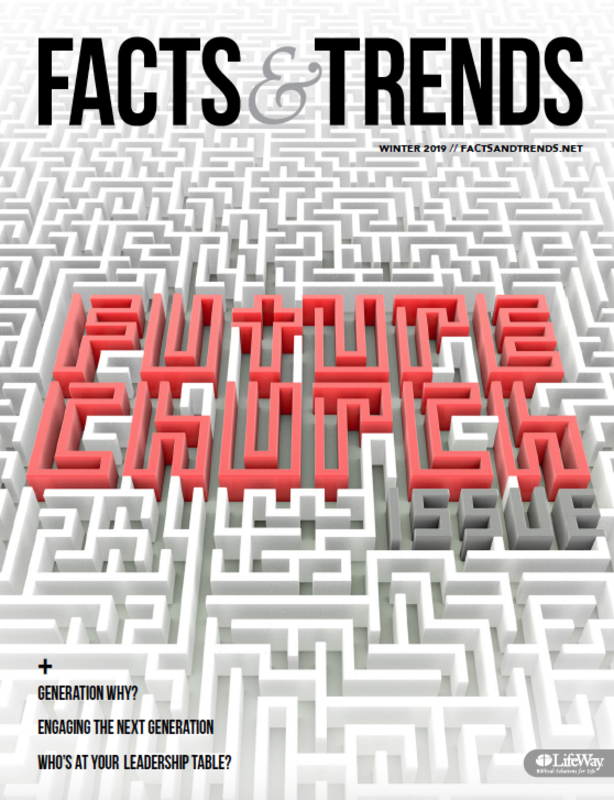 Steven Watson believes there’s a very practical reason many people don’t go to church—one that has nothing to do with their beliefs. “If we pulled back the doors in our communities, I think we’d be shocked at how many people aren’t going to church because there’s no place for their special needs loved ones to go,” he says. Attending church services can be difficult for individuals with special needs and their caregivers. In 2017, the U.S. Census reported that 14.2 million people age 18 and older had difficulty doing errands alone, such as visiting a doctor’s office or shopping, due to a physical, mental, or emotional condition. It’s for this reason that Watson has dedicated the last 28 years of his life to teaching the Joy Class—a discipleship class for adults with special needs—at First Baptist Church in Asheboro, North Carolina. Founded in 1968, the Joy Class celebrated its golden anniversary this past year, making it the longest-standing special needs class in the North Carolina Baptist State Convention. An elementary physical education teacher, Watson says he’s never had any formal training in special needs care. 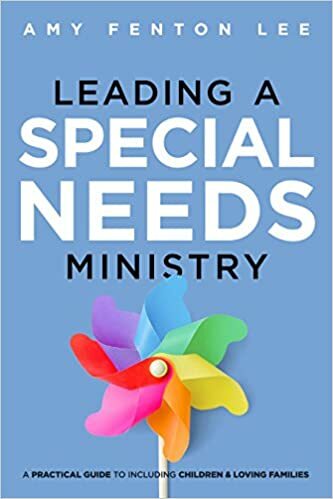 While he believes such training is valuable, he says churches that are waiting on expert volunteers to appear before starting a special needs ministry are missing out. Typical Sunday mornings for the Joy Class begin with a van ministry that picks up individuals with special needs from their homes which includes group homes. Other members of the class are dropped off by families who either attend First Baptist or go to other local churches that don’t offer special needs ministries. “We begin with a time of fellowship, just seeing how everyone is doing and catching up on the week,” Watson says. He notes that in a special needs context, this time usually consists of more than just chitchat and pleasantries. After fellowship, the class has a snack and moves into Bible study. 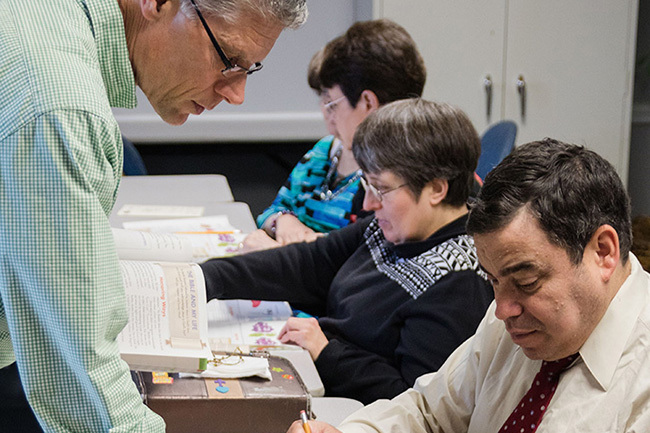 For more than two decades, the Joy Class has used LifeWay’s Access curriculum for adults with special needs. After a time of prayer, the class attends the church’s 11 a.m. worship service. Joy Class members are then picked up by their caregivers or are driven back to their homes by church volunteers. Watson hopes other churches will be inspired to start their own ministries to serve people with special needs and their caregivers. To that end, he offers the following tips he’s learned from almost three decades of special needs ministry. The Joy Class makes a point of encouraging adults with special needs to be actively involved in serving others in the church and local community. Some of the classes’ activities include preparing back-to-school supplies for local students, packing shoeboxes for Operation Christmas Child, and offering goodie bags to college students who attend an annual leadership conference held in town. The class also provides restaurant gift cards for military families and gives money to the church for van upkeep. “One of the main things I try to teach the class is that they can be leaders and that they can do for others,” Watson says. “Often times, individuals with special needs are given things and helped. 2. Lean on a special needs curriculum. Watson emphasizes the value of having a curriculum geared to teach individuals with special needs. LifeWay has produced ongoing resources for adults with special needs since 1986 says Dwayne McCrary, team leader for ongoing adult group resources. Access, the curriculum Watson’s class uses, follows a five-year plan through the Bible using a story-telling model. “We follow the flow of biblical history from Genesis to Revelation so adults with special needs can get a clear picture of how the books of the Bible work together and why it was necessary for God to send Jesus to be our Savior,” McCrary says. LifeWay also offers an ongoing special needs curriculum for kids called Special Buddies and Vacation Bible School resources for individuals with special needs. 3. Treat individuals with special needs as essential to the church. Individuals with special needs should be seen as a vital part of the church instead of merely a project of the church. As such, churches can glean from Watson’s practice of providing a class specifically tailored for adults with special needs while still letting them attend regular services. This allows individuals with special needs to receive custom-tailored discipleship training in a small group setting while also letting them partake in fellowship and corporate worship as members of the larger church body. 4. Finally, don’t wait for the perfect time to start. For Watson, there’s nothing special about Christians reaching out to individuals with special needs. Rather, he sees it as a simple outworking of the Great Commission. “Our true calling is to go out into all of the world making disciples,” Watson says. “And there’s a special needs community in every community. Wow – Just a note to say that First Baptist, Asheboro is so thankful for Steve Watson and ministry. He is a man of God, and truly loves the special needs folks at FBC. The article is tremendous and I know, without a doubt, it’s going to influence other’s to become involved with a special needs ministry. These people as so loving and caring, as Steve says so many times in the article. Thanks for all you are doing for people with special needs. I am the mother of a son with Down syndrome who has severe heart disease and a speech articulation disorder. My late husband and I started a ministry for people with special needs more than 30 years ago at our church. It has grown tremendously, thanks to the Lord and others who work diligently. I am no longer part of the teaching or leading ministry but love those who do. I wrote for Lifeway’s magazine, Special Education Today, for many years and coauthored the book, Extraordinary Kids, published by Focus on the Family. My son is now almost 43 years old and will soon have some extensive, serious surgery. Please pray for him. Thanks again for your love for challenged children and adults. You are a treasure to God and your church.